-Being told by a cute guy at the gym that I was using the weight machine entirely wrong. (Pfffff...yeah, I know....). -Being informed there is a cookie monster in the house. And then being informed that that cookie monster is me. So what if I kinda sorta maybe ate the whole box of tag-a-longs you bought in one day. -My obsession with the song "Who Dat Girl" by FloRida and Akon. -Finding a dandelion in our grass and making my first wish for spring. -The music at H&M. I literally want to turn that place into a dance club, try on all their clothes and dance with the mannequins. -My spin class last night. I'm talking 138 beats per minute. There's nothing like a spinner's high. -This weather we are having. Can I just say blessed?! -Charlie Sheen. It's one train wreck I kinda want to watch. Your outfit looks amazing! The skirt and blazer pairing is gorgeous. I absolutley love Tag-alongs. They are my most favorite cookie ever. I only buy 2 boxes every year when the girlscouts sell them because I know I'll in trouble if I get more than that! Love the outfit too. Everything you put on is beautiful!! Funny how Charlie Sheen has been mentioned in nearly all of the Awkward and Awesome posts I've read! I linked up too! and I totally called out Charlie Sheen as well!! haha! CUTE outfit by the way! i´m the same kind of cookie monster. But I think that we finish the box because the box is too small!! don't u think so? haha charlie sheen is awkward AND aweseom have you seen his latest "winning recipes"....http://www.funnyordie.com/videos/bfb12aea47/charlie-sheen-s-winning-recipes ...train wreck yet can't stop watching. haha lets get it on!! funny! 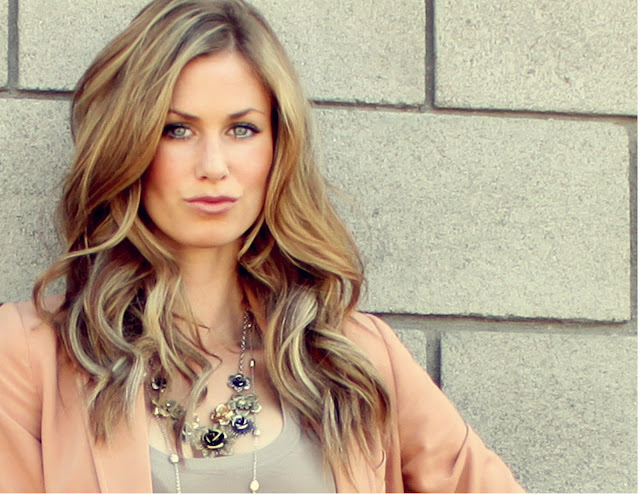 love the color of the jacket, and you hair looks perfecttt! I love the music at H&M. Totally. SO funny about the voicemail tone! and oh charlie... Everytime i think i am sick of him he goes on ustream again. have you seen the website that put some of his quotes to cute bunny backgrounds? its pretty funny! 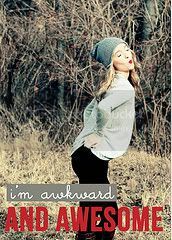 haha, i love your awkward and awesomes!! i have yet to find a dandelion this spring but you can bet i'll be making a wish too when i find one! and very cute pink blazer. you're making me wish i had one for my closet too! I have to say you are one stunningly beautiful lady with a kickass head of hair. Do you model? That first story was hilarious. Wonderful outfit! I so love your hair color! Please tell me what colors your hairstylist used. Love the colour of your blazer and your makeup looks great!! LOVE your outfit! and great awkward and awesomes! And awkward ringbacks? The worst. Do you hang up? Keep listening? ah. I LOVE the boyfriend blazer! Details on the outfit??? ugh. i neeeeeeeeeeeed that blazer. like now. Sigh...I really think the girl scouts have a personal vendetta against me because I can't find any cookies whatsoever! Even when I use the fat kid girl scout cookie finder app I downloaded. I totally would have shared those calories with you. Wow. I love your style and you're absolutely gorgeous. haha the whole marvin gaye song cracked me up!! 2nd: so true on charlie sheen! hes just horrible and embarrassing, but you just HAVE to watch! HA! i'm going shopping tomorrow and I had to check your blog for ideas before I do-- i love your outfits!! ALSO i think you need to do a tutuorial on your hair! Always looks great! I've eaten a whole box of cookies in a day, but your spin class makes up for that right? I think this has to be my most favorite outfit so far. Love love looove it! I'm taking the course on saturday to get certified to teach spin!! Ahhh I'm so excited!! Yay! I love seeing new awkward and awesomer's! And oh man, yes on Charlie Sheen. You can't STOP watching. p.s. thanks a mill for the hair tutorial video haha i can´t curl my hair to save my lifee!